I actually waited a bit before buying - I missed the first launch because of work, before I could get my credit card out on the second launch Dolce K had sold out, and so I decided I would wait for a few reviews and then try again. What really sealed the deal for me was seeing Lou Teasdale totally rock the shades. I picked up Koko K, Dolce K, and True Brown K. Hands down, my favorite is True Brown K. It's bold, different, and absolutely incredible on. I own nothing like it, which is probably why I'm so enamored with it (that and the fact that it's one of Lou's favorites too). 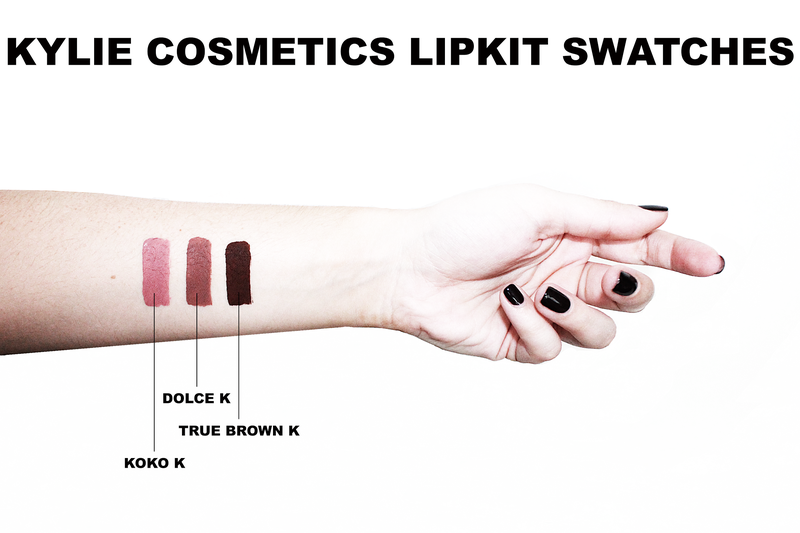 Dolce K comes in as a close second. It's a pretty standard shade for me, I own quite a few other products in that same color family. The closes dupe (which can be equally hard to score) is Kat Von D's Bow n' Arrow. Koko K...I'm still slightly iffy about. It's very similar to my own lip shade, which is a good and a bad thing. It makes for a great "your lips but better" color, however I feel that it can lose the sharpness and sleekness that Dolce and True Brown give me. In terms of formula - the liners are so freaking creamy it's unreal. They apply beautifully. The liquid lipsticks themselves are fairly dry, but that's how they are meant to be. Because of this, Kylie provides you with a creamy liner as a base for her dry top coat. They work perfectly together. For the best results I'll exfoliate my lips and use Glossier's Balm Dotcom before applying. This helps to give me a super hydrated base. I find these to be a combination of favorite features from Kat Von D and Anastasia Beverly Hills. Like Kat Von D these are thin and easy to build up, they also have a great dry-down time. Like Anastasia, the color payoff is unreal and they are super long-lasting. The longevity of these liquid lipsticks is fantastic. I went to happy hour with Sarah the other day and True Brown never left a mark on my wine glass. Now, eating something like pizza is another story. Once anything with an oil included in it hits your lips, the product is ultimately going to move around. It's the same effect as though you were using an oil based cleanser to remove it. To attest to how long-lasting these are...these swatches below lasted through my shower (granted I didn't work at scrubbing them off) and sleeping through the night. Price-wise, I feel like these are a great deal. For $29 you're getting both the liner and the liquid lipstick. This makes Kylie's products actually cheaper than MAC, Anastasia Beverly Hills, and Kat Von D seeing as each of their liquid lipsticks range to be about $20 dollars alone not even including a lip liner. 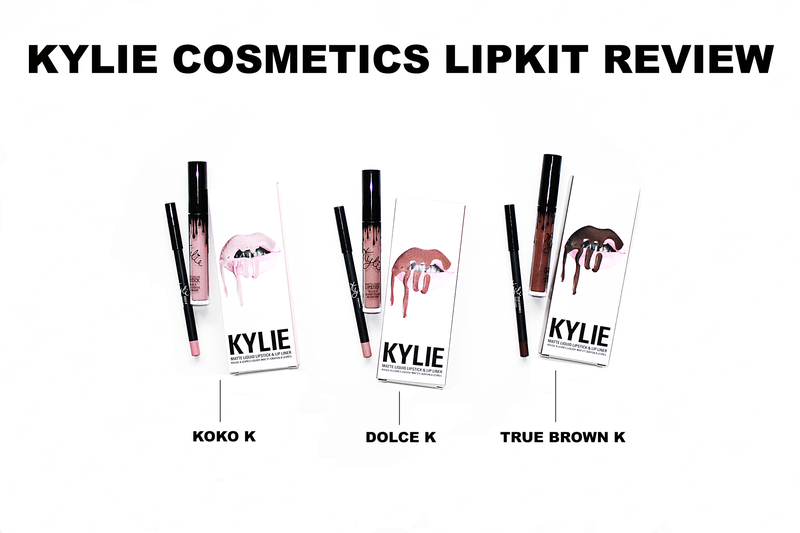 Have you picked up any of the LipKits yet? What are your thoughts on them? Will you be snagging any if you haven't picked them up yet?